I have this list I keep. It’s made up of travel experiences that have propelled me into humbling existential awareness. 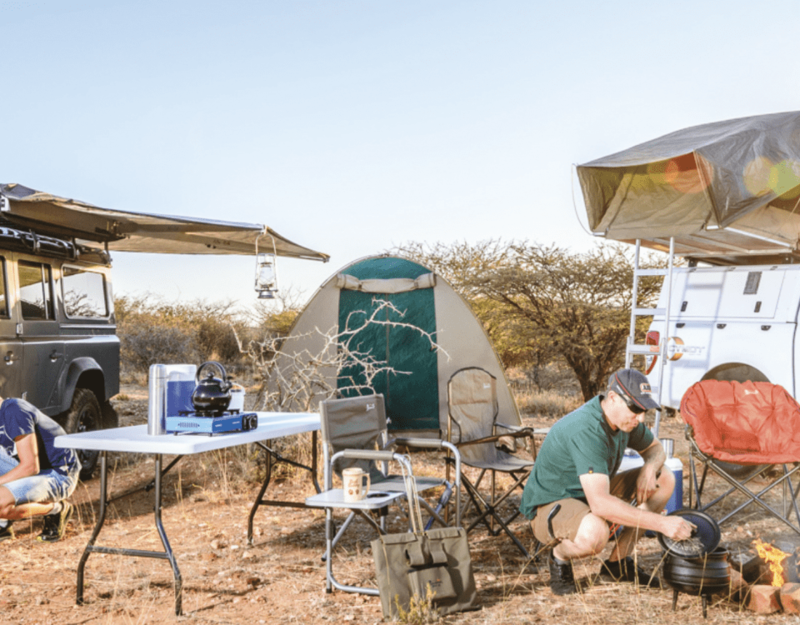 Learning to pole a makoro through the Okavango Delta’s waterways as the locals do, feeling the spray of mighty Victoria Falls on my face, and venturing off on a walking safari in Kruger are a few of the items on my list. 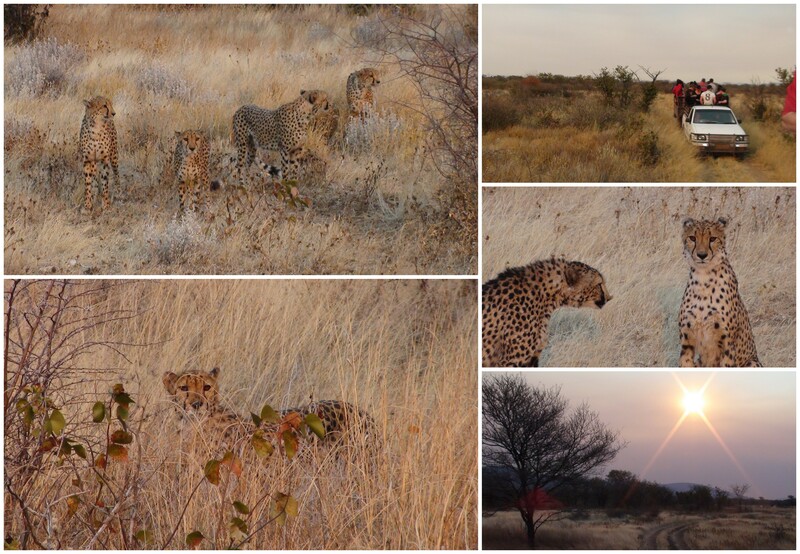 These experiences left me feeling so incredibly close to nature, much like my time spent in Otjitotongwe Cheetah Farm which has also made it onto my list. 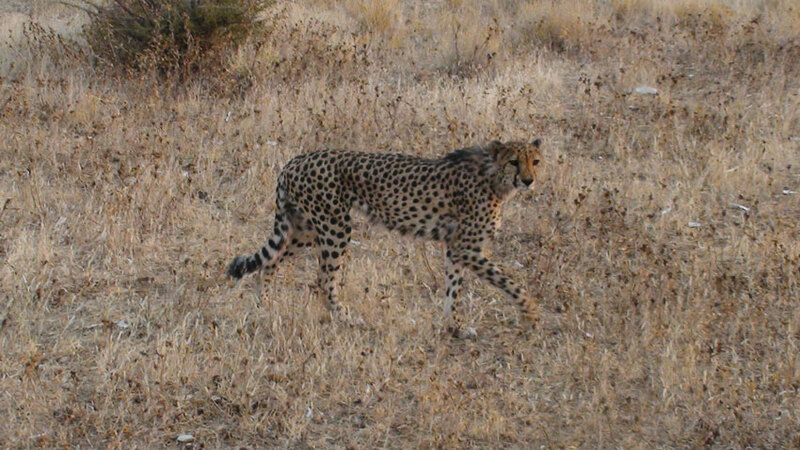 Moments after entering Otjitotongwe Cheetah Farm I noticed that we had a tail. Actually, we had about three tails. Blending in well with the dry Namibian savannah browns, the trio of slinking shoulder-blades followed us for about a kilometre. 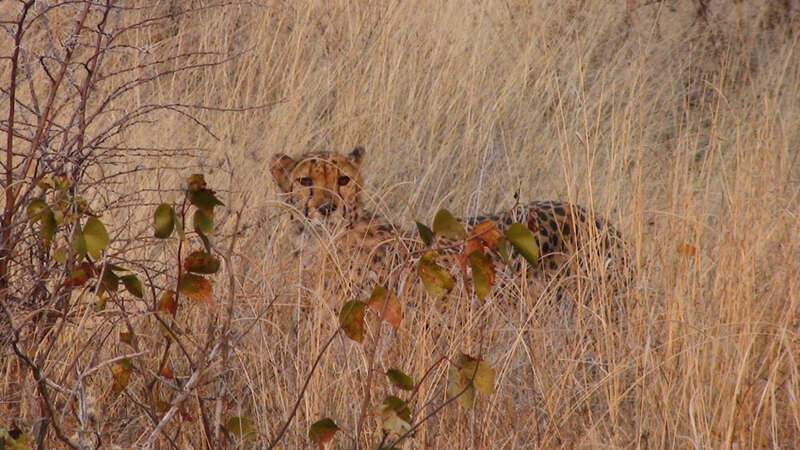 Then, out popped another curious pair of eyes watching as our safari vehicle bobbed along the path. Then I realised why. Feeding time. Zebra was on the menu. Our open safari vehicle was driven a fair way into the farm where early dinner was served. Before I knew it, there were about ten bellies ready for some din-dins. The rangers had come prepared with their substantial chunks of zebra. The meat was launched out to a crowd of hungry bellies. As that meat hit the ground a dust-cloud frenzy erupted. It was every cheetah for themselves. Each one tried to win the offering and flee. A second and third serving of meat was tossed into the group of spots and soon the playground politics started to come out. Hungry and left without nosh, a pair of irritable cheetahs threw a hissy-fit at one another as we watched the drama unravel. It seemed as if the entire group was now ganging up on one of the cheetahs. Perhaps he was the new kid? 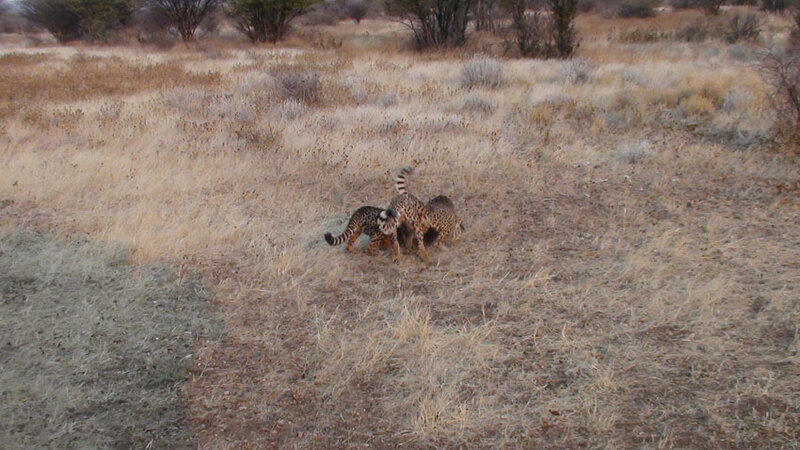 Namibia’s farmers find cheetahs and absolute nuisance. They kill cattle, and eventually farmers were killing the cheetahs. 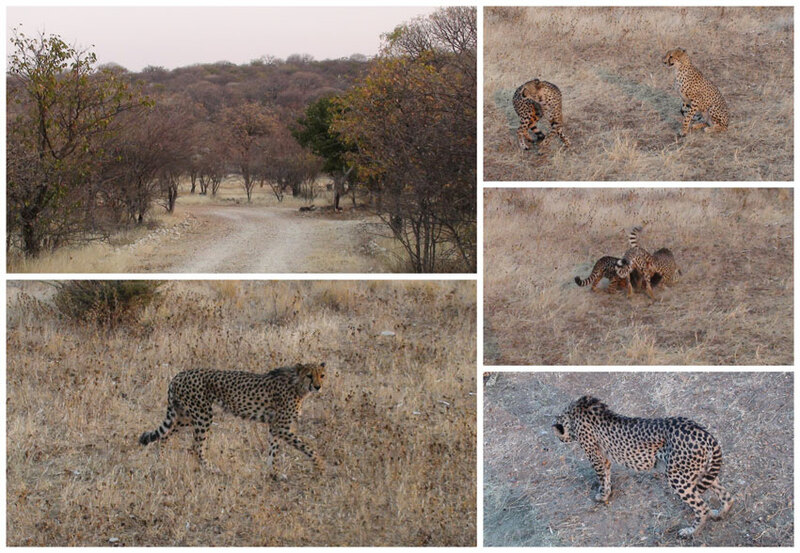 Otjitotongwe Cheetah Farm catch trouble-making cheetahs though and introduce them to their new home on the safe, 7 000 hectare fenced farm. Problem solved. Hats off to the Otjitotongwe Cheetah Farm initiative – it was a truly wild experience watching raw cheetah instinct from a front-row seat. List-worthy stuff! After kissing her 9 – 5 job in the urban jungle goodbye, Dalene decided to combine her flair for writing and her undeniable adventurous streak to become a freelance travel writer. 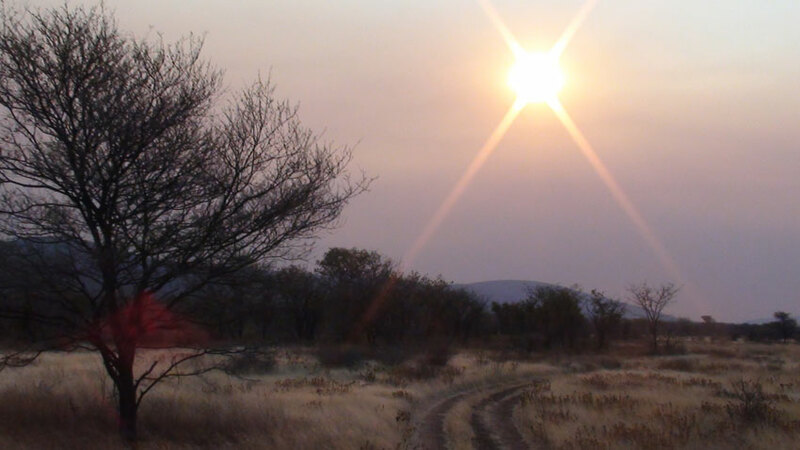 Country by country, Dalene hopes to uncover Africa’s most beautiful places – one sunset at a time.